I do public appearances. It’s part of my job. I do a lot. There is a common thread before each one. I don’t want to go! Most of the time I don’t feel that way when the event is over. Saturday was no exception. Most of the time I don’t feel that way when the event is over. Saturday was no exception. 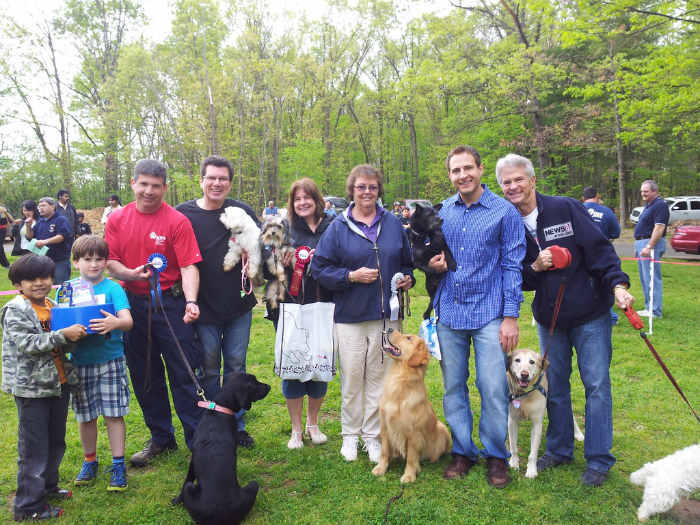 The event was “Paws in the Park” in South Windsor. Far! It was an hour each way. Helaine had girlfriend plans so Doppler and I settled in the SUV and headed north. This event was totally dog friendly! Doppler has a little area with leash installed in the front passenger seat. Within the first five minutes she had managed to wrap her leg and become immobilized! That’s never happened before. I was a judge. Theresa LaBarbara and Steve Parker were there from the old place. Beau Berman was there from FoxCT. It was like a home show or travel show, but for dogs! There were tables with vendors and rescue organizations. There are lots of rescue organizations. 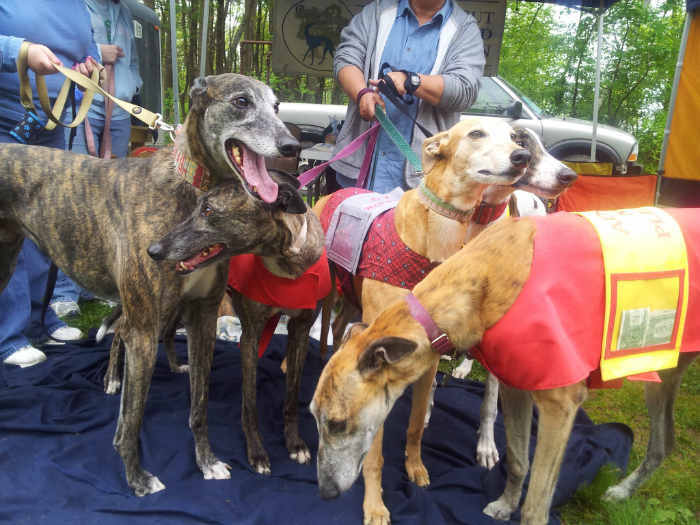 We judged a best trick, dog kissing contest and sitting version of musical chairs. The vibe was good. After two hours we got in the car to go home. Doppler was bushed! I left the leash off and let her lay down. I guess dog days are like dog years! 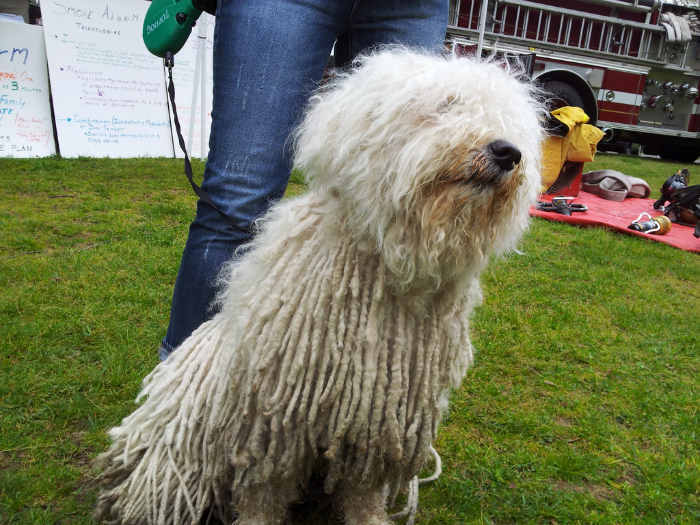 I see a Komondor puppy! And greyhounds and happy people and dogs. 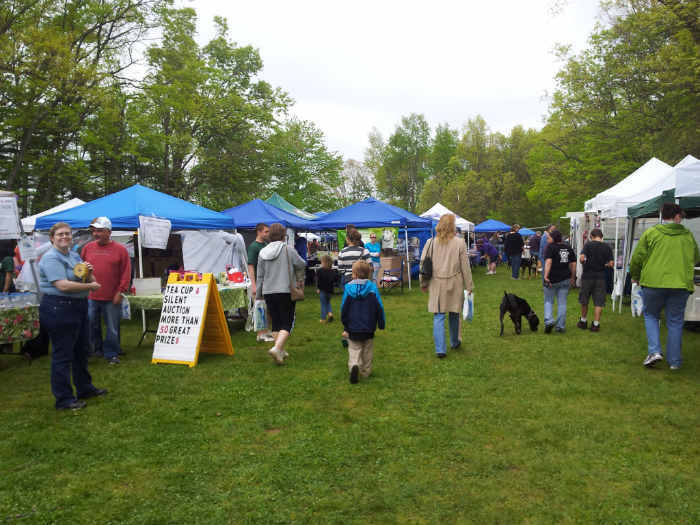 Wish I could’ve gone – glad it was a success and you and Doppler had fun! Geoff – just a warning. I don’t know if you have a way of turning off the front seat airbag, but if not, Doppler probably ought to be in the back – airbags can be dangerous for dogs. Geoff, you didn’t mention Ivy that I could see. I know that was hard for you and the girls but the dogs you do have don’t take her place but do help with the sadness. Do you have a method to brush a mildly fiesty dog’s teeth? My father was at this event, and had a sheltie with him and actually made the news! He said “don’t get out of that chair” or something along those lines. He was so proud and said you were such a nice person to meet. I was wondering, is there anywhere on the Fox CT website where I can find that televised clip? Thanks! !